ItemD-05211 - Interior of the Federal Building and Post Office at the southeast corner of Government and Yates Street, Victoria. ItemD-06400 - Cataline's pack train near Burns Lake cabin. ItemD-06402 - Indian fish trap; Tatchi River. ItemD-06433 - Pack train leaving Fort St. James for McLeod. 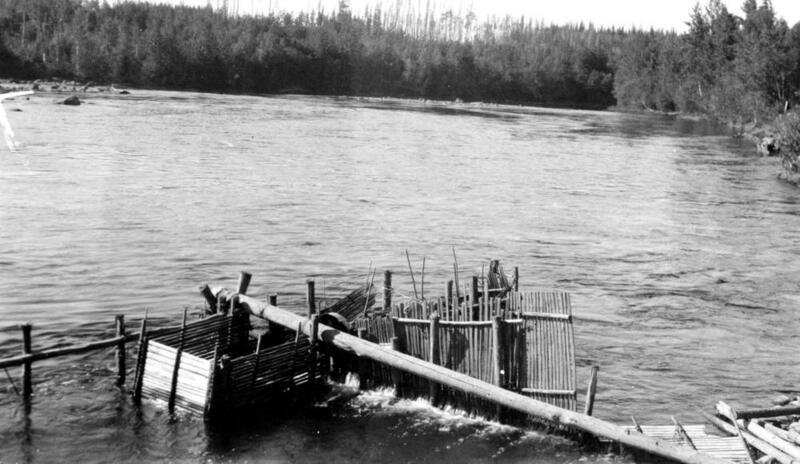 Item D-06402 - Indian fish trap; Tatchi River.